thebadwrap.com Toll-free (855) 337-9727 admin@thebadwrap.com Get your free sample at thebadwrap.com Take the GUESSWORK Out of Your Quotes! 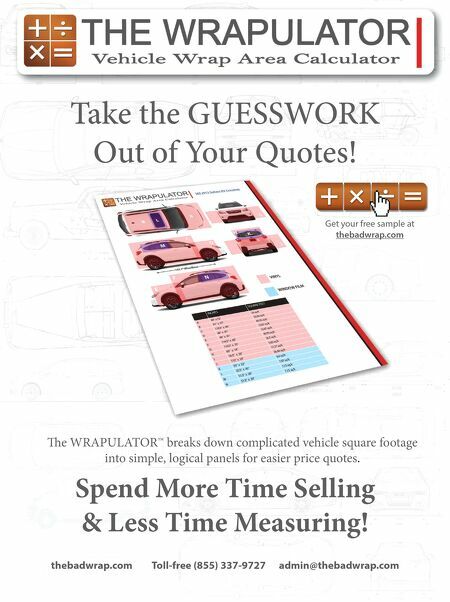 e WRAPULATOR™ breaks down complicated vehicle square footage into simple, logical panels for easier price quotes. Spend More Time Selling & Less Time Measuring!